Discussion in 'Muppet Replicas' started by Chalback, Dec 8, 2013. Hey guys seeing that efx will never make these... ;( is there anyone out there that makes a good fozzie? I came across creature clones but I'm not sure about them. I will give you the best advise I can - steer clear of Creature Clones if you want your item sooner than 12 months and don't want headache after headache getting there. The guy at Creature Clones is also not very customer friendly, in fact he's downright obnoxious and knows he has the upper hand when he has your money. I had a very unpleasant experience with him and whilst I did get the item ordered eventually, and the quality was OK(ish), it simply was not worth the hassle...at all! Terry on the other hand is THE master!! i have absolutely nothing but praise for his work and he is more talented than almost any other person i have met. He did the prototypes for the MR Fozzie and if there's anyone who could knock a Fozzie out of the park it's him!! Check out his awesome Gonzo in the other thread, the guy is amazing! Seriously, without hesitation I would highly recommend Terry! I am sure they do a great job, but I bought a Wembley Fraggle replica from them back in June. It was pretty pricey and it's now December and I still have yet to see any signs of it actually being made. I know they are probably really busy. But 6 months with out even a progress picture is a bit disheartening. I am trusting they are legit, but when I email them they come across as annoyed that I ask for some sort of progress , or a picture or status update. HunterPeeples and Diego Fiorucci like this. I made a Wembley as well, and man was that a laboe intensive project. Recreating the fabric, having it printed, dyeing and cutting and bundling the hair, sewing...oy! If I didn't love the little squirt it wouldn't have been worth it. Diego Fiorucci, KermieBaby47 and muppetperson like this. I made a Wembley, Took me a month. 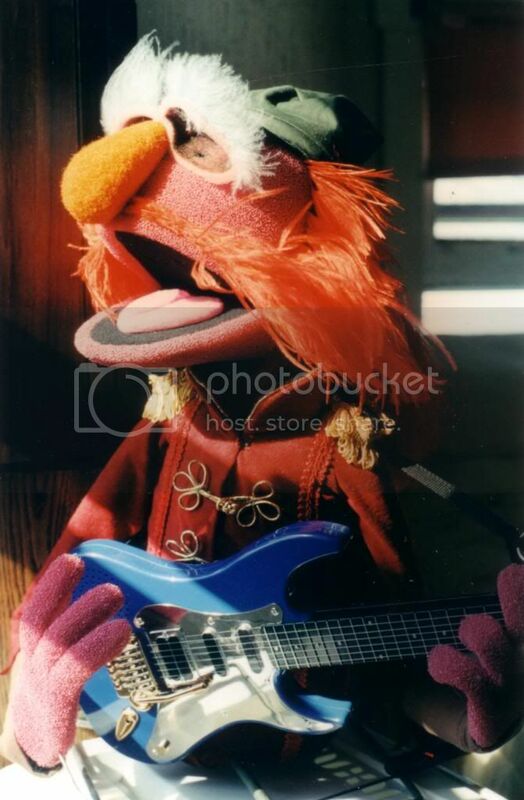 I must stress that a real professional puppet of the Muppets is pricey in the first place (A Real One). The foam, eyes Hair being glued in bit by bit, The Shirt Fleece getting it dyed, HAND SEWING and man hours, it cost a lot. Fozzie Bear, WalterFan1234, CoOKiE and 8 others like this. Thats exactly what I meant about them, they are really horrible to deal with once they have your money. I have little doubt you will get your replica but it will be an uphill battle filled with lies and frustration. When I first ordered my item from them they sent me a photo proclaiming to be the item they were creating for me. I later found out that this was a complete lie and it was one they had created for someone else. The final item too is far inferior to the amazing craftsmanship you get with Terry, which for all intents and purposes is an actual Muppet or the next best thing. Thanks, Terry! I'm just a hobbyist who builds these things in my living room after work, but I try to make them as close to the real thing as I can. Yours is perfect, but what else is new? 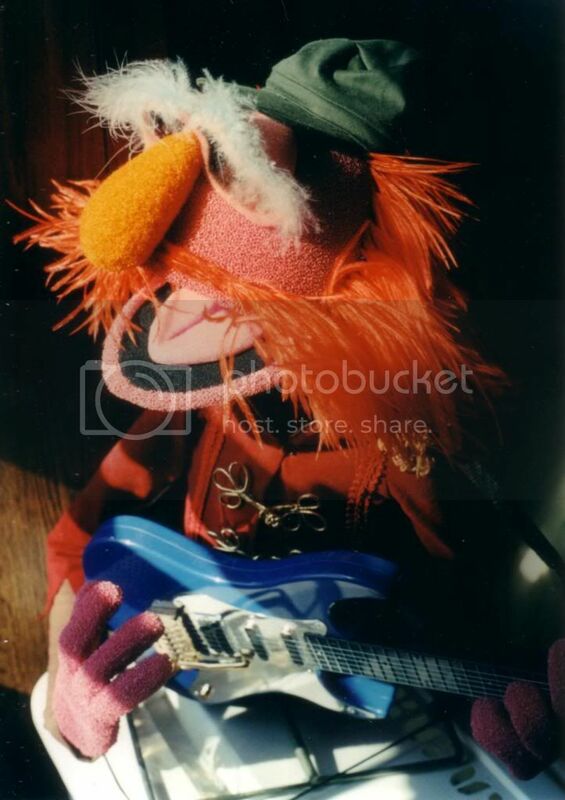 Here are pictures of the Floyd Pepper puppet that i built for Jerry Nelson years ago for his birthday. HunterPeeples, Blue Frackle, LaniArianna and 12 others like this. WOW!!!!! That Floyd looks AMAZING!!!! Great job!!!! This is seriously incredible! Or should I say groovy? I'd LOVE a ROWLF and Kermit from Terry someday... after I hit the Powerball of course! Really amazing! How you know the sizes and shapes? Never in my entire life have I seen such a spot-on Wembley and Floyd Pepper. This was definitely carefully done from start to finish. LaniArianna and Diego Fiorucci like this. Your replicas are so good, that they're scaring me. Shalise Shaw, SkeetScootSquat and Bridget like this.